How tall is Jeff Bridges? 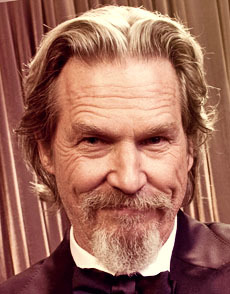 American actor Jeff Bridges was born in Los Angeles, California, USA (December 4, 1949). Jeff’s father, Lloyd Bridges was an actor and his mother, Dorothy Dean Bridges was an actress. What are the most liked Jeff Bridges’ movies? What is Jeff Bridges’ first movie? Jeff Bridges’ first movie is “Halls of Anger” which was filmed in 1970. Which award did Jeff Bridges win? In 2010, 82nd Academy Awards, he won ‘Best Actor’ for “Crazy Heart”. What is Jeff Bridges’ nickname? “The Dude” is his nickname. What are Jeff Bridges’ Occupations? Jeff Bridges is an actor, producer and singer. He married to actress Susan Bridges since 1977 and they have three children.